One of things I enjoy most about a new organizing project is the opportunity to uncover a hidden treasure of storage space. 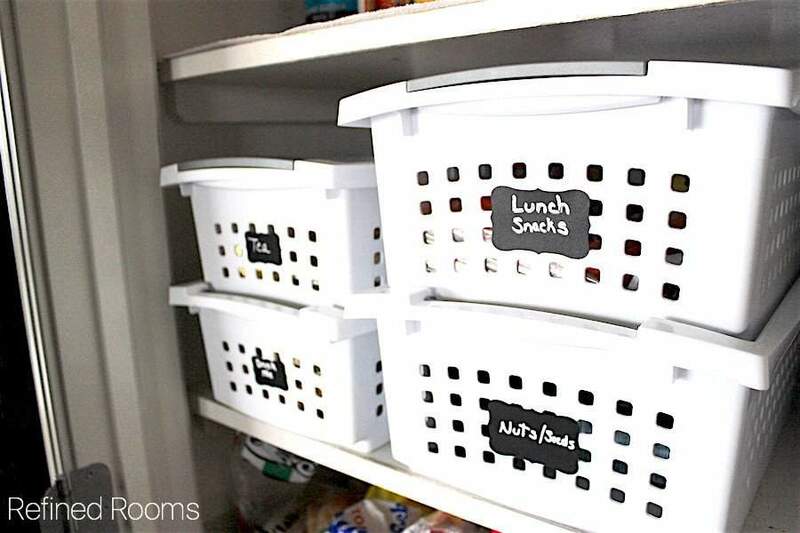 It’s amazing how much you can boost your storage capacity in the closet, pantry, home office, kitchen cupboard, and even the garage just by “going up” and using all of the available vertical storage space. 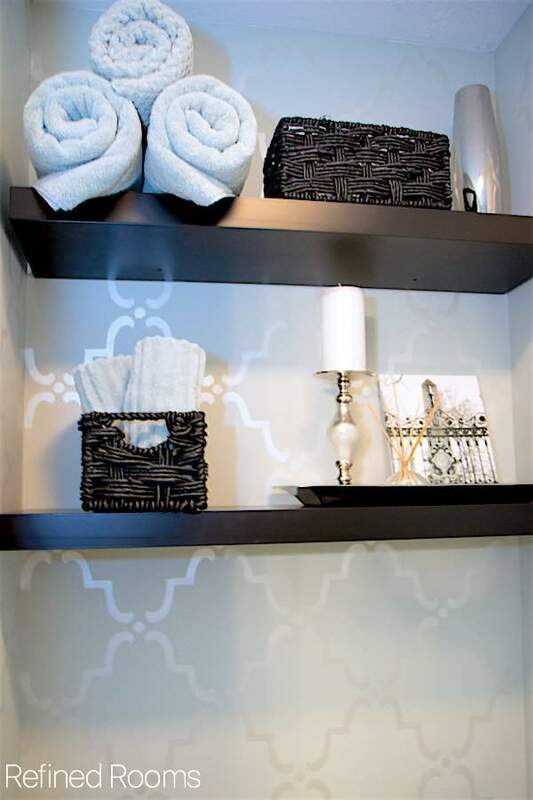 In a walk-in closet, every square foot of empty wall is an opportunity to gain storage space. 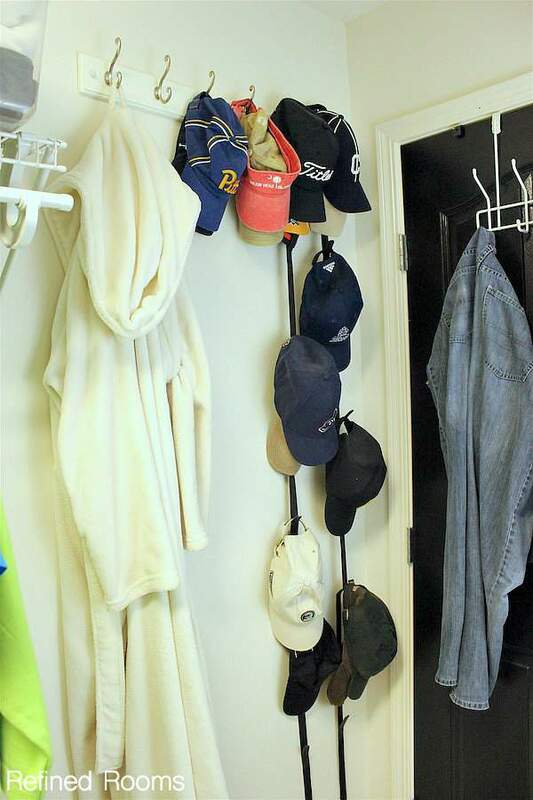 For example, with the addition of some simple hooks, this area behind the closet door is now able to house collection of baseball caps, as well as some bulky bathrobes that were taking up valuable space on the clothing rod. One of my favorite ways to magically increase storage capacity is to utilize the vertical space on the back of doors. 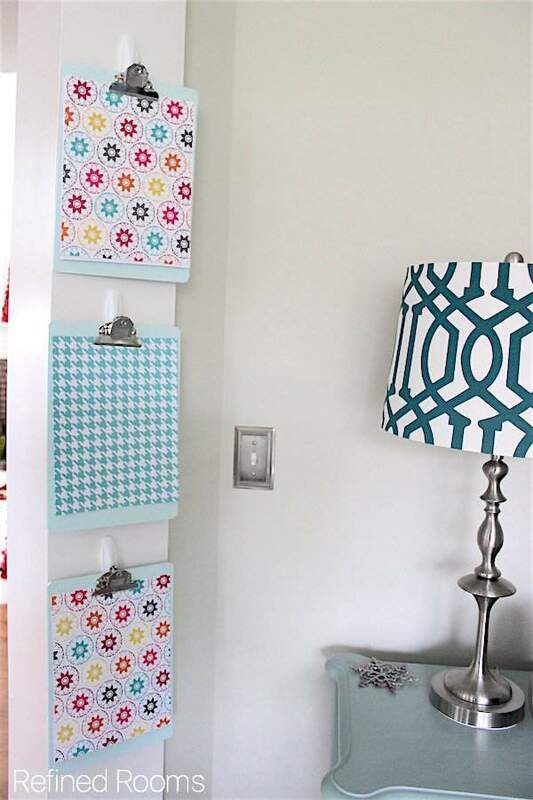 There are many options for turning this neglected area into a handy repository for things…using overdoor hooks and shoe organizers, or one of the greatest organizing products of all time, the Container Store’s Elfa Pantry Door and Wall rack . 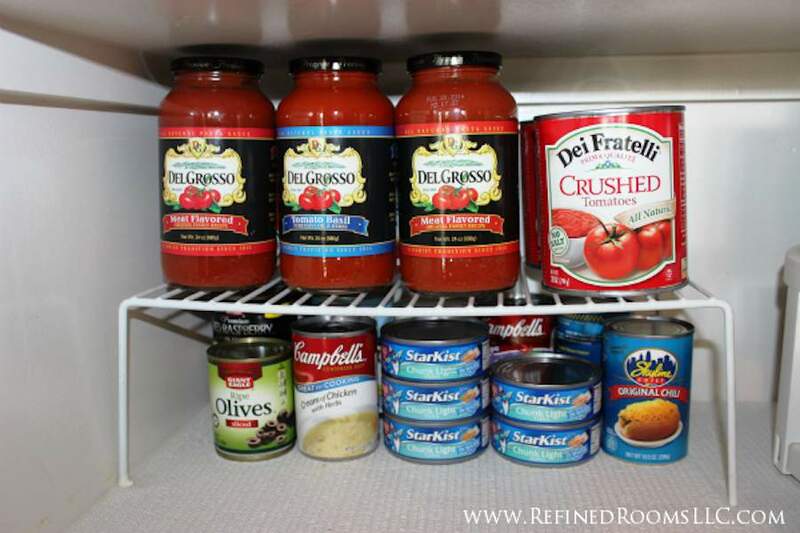 And it’s not just for pantries! 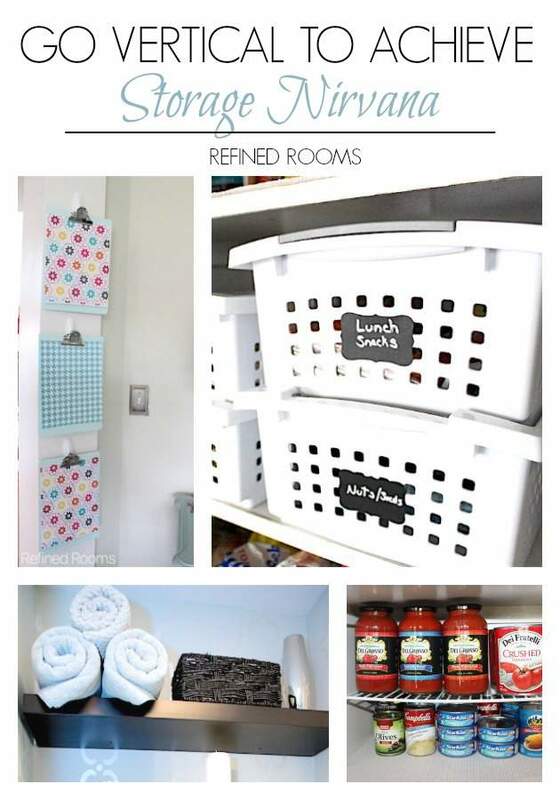 I’ve used this product to increase storage space in kids’ bedrooms, craft rooms, laundry rooms, and even on the wall in a garage. 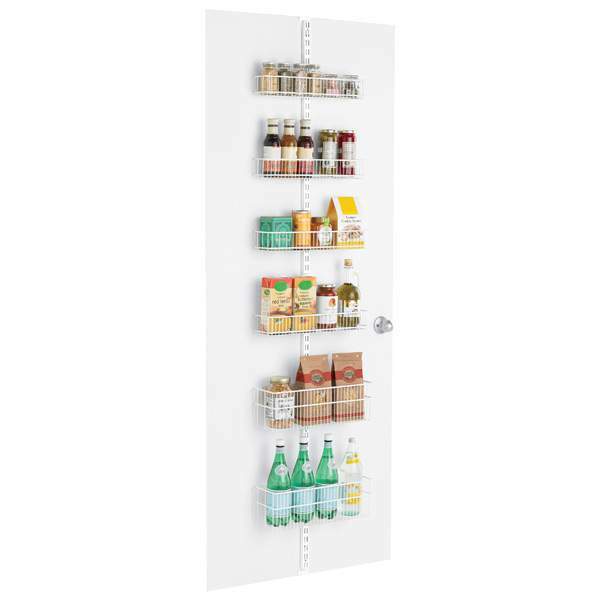 And let us not forget the most obvious way to add vertical storage…shelving! In my own home office redesign, we installed shelving to take advantage of the 9 feet of vertical wall space that was not being utilized (we spent the first few years in our home stacking items on the floor of this alcove). 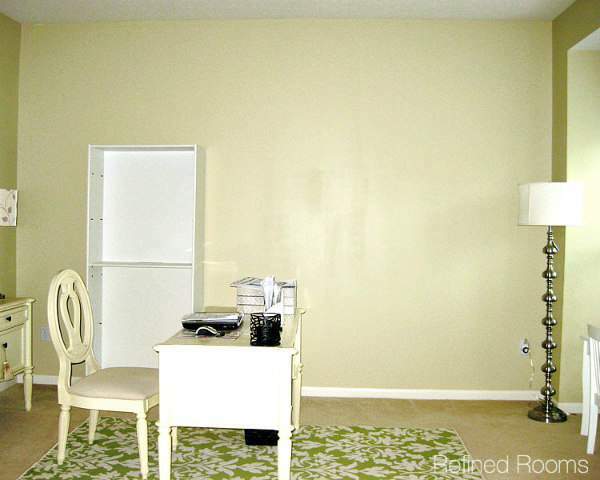 Finally, our home office redesign served as the ultimate example of maximizing vertical space. We just couldn’t pass up the opportunity to install built-in floor to ceiling bookcases. A bit of an improvement over the sad little bookcase in the BEFORE photo, don’t you think? 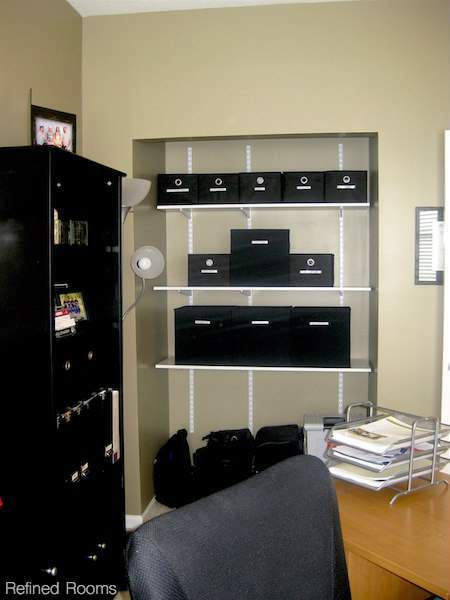 So now that you’ve got your wheels spinning, what solutions will you use to bring storage nirvana to your home?